Canadian based shoe chain Aldo is having a sale at its accessory chain store, Aldo Accessories! For a limited period only, Aldo Accessories is giving a 50% discount on your 2nd item purchased! From jewelry to bags to hats and sunglasses, every girl will be spoilt for choice! So hurry down today to enjoy this special offer! 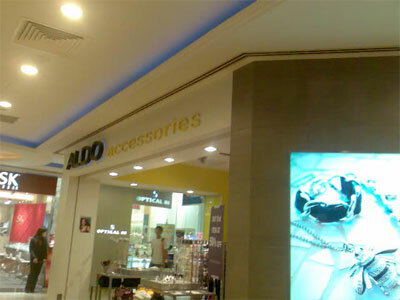 Aldo Accessories is located at #B1-51 of Wisma Atria.